Rest, Ice, Compression, Elevation and refers to a term used in a 1978 book by Dr. Gabe Mirkin, entitled ‘The Sports Medicine Book’. For more information, visit http://www.drmirkin.com. Cuban-Spanish word meaning “scrape” is used to refer to the “crusty rice at bottom of pot”. Spanish word for "crusty rice at bottom of pot". Traditional Louisiana recipe, using red beans, rice, and spices. See Mahatma® Red Beans and Rice or Carolina® Red Beans and Rice. For a convenient, 10-minute version try Success® Red Beans and Rice. A type of rice with a reddish-brown bran layer, a nutty taste and chewy consistency. See Wehani (also called Russet), Bhutanese red rice and Thai red rice. Also, a type of rice grown in South Carolina. Also, a recipe for a dish consisting of tomatoes and rice. Term used for milled white rice. See Long Grain Rice. To revert to a simpler form, such as a reaction involving vegetable adhesives. Characterized by a reversion to a simpler molecular structure. As an example, when cooking, serving, and storing cooked rice and/or a finished recipe like rice pudding, storage conditions including refrigeration can cause rice to “dry-out” or harden and revert back to a more “uncooked” texture. A type of arborio (short-grain) rice. Is a semi-aquatic member of the grass family. The edible seed is the staple grain for over half the world’s population. Rice is among the few foods in the world which is entirely non-allergenic and gluten-free. is from a small annual vine which bears yellow flowers and small edible beans. The beans are small, slender and oblong and are grown in Malaysia, Nepal and Assam. The dried pods are very fragile and diffifult to harvest. Rice beans have the highest calcium content of all dried beans, containing twice the calcium of kidney beans. 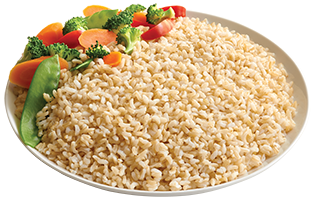 The outer layer on brown rice; an excellent source of thiamin, niacin, vitamin B-6, iron, phosphorus, magnesium, potassium and fiber. Is extracted from rice bran and is mild flavored. Rice bran oil has a very high smoking point, which makes it perfect for frying. This is a low-calorie snack made of puffed rice. 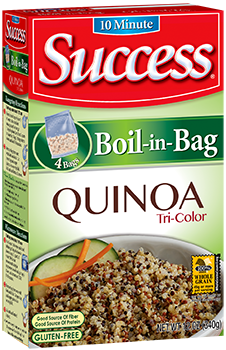 Are whole grain rice, puffed or crisped, and generally used in breakfast cereal, rice cakes, or even candy bars. A convenient electric cooking utensil or microwave container used for cooking rice. Cracked rice, which resembles a cracked wheat product called couscous. A low fat, low salt diet. For more information, try http://www.ricedietprogram.com/. Rice is ground into flour, which can be used in place of wheat flour for baking. Rice flour is gluten-free and non-allergenic. This type of flour has a wide variety of uses such as baby foods, sauces, gravies and cosmetics. Is a dairy substitute, and can be used as a beverage, or a wide variety of recipe applications. Also, see Amazake. Are made from rice flour and typically used in Asian cuisine. Is dough made from rice flour and water. Rice paper is used as the wrapper in Vietnamese and Thai spring rolls. Is a major component of milled rice. Rice starch can be used as a thickener in making sauces or desserts. See Rice Flour. Is a mild sweetener, which is easily digestible. Rice syrup may be substituted for other sweeteners when baking. Made from rice, this vinegar has a gentle, but tart flavor and is milder than other types of vinegar. Same as Rice Wine Vinegar, rice vinegar is produced using double fermentation. Rice vinegar has a mild-sweet taste because it contains 4% to 5% acidity, while most vinegars contain 5% to 7%. Is a sweet, golden wine made from fermenting freshly steamed glutinous rice. The actual word ‘Rijsttafel’ is a combination of two Dutch words, which when literally translated means "rice table". This word describes an elaborate Indonesian meal, which consists of rice and accompanying dishes such as meat, seafood, and vegetables. is a springtime favorite dish in the Veneto region of northern Italy. It is a thick soup with a somewhat loose consistency. Creamy Italian rice dish in which rice is sautéed and cooked in broth. Left-on bran gives this parboiled rice from South India an attractive rose color. Sought after for its firm texture and warm flavor. Rice as it comes from the field. Also, known as paddy rice, the rough rice kernels are still encased in an inedible, protective hull, which must be removed. The hulls can be recycled and used in electrical co-generation.